West of Trail neighborhoods have always been desirable, based on their proximity to the water. 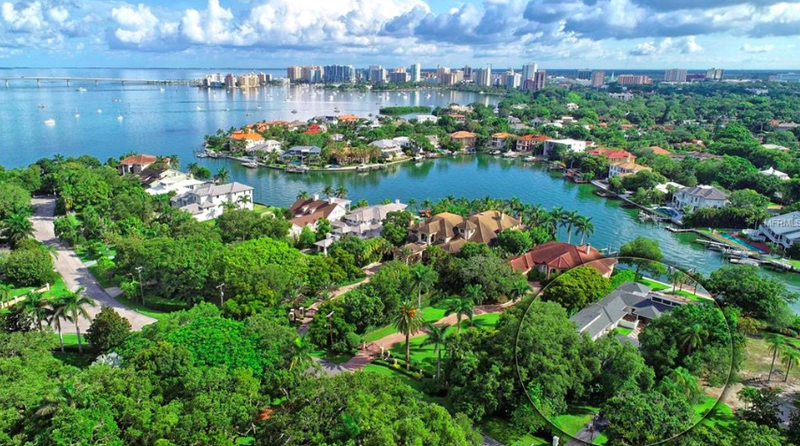 If you desire a boating lifestyle, but don't want to live on a key, West of Trail is where you'll end up! Let's share a look at some fantastic properties that are currently listed in some of our area's West of Trail neighborhoods. 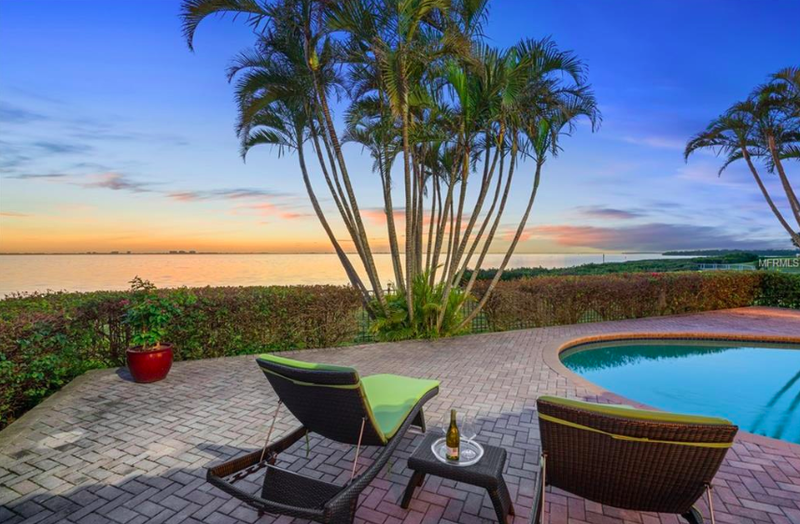 This mid-century estate was completely renovated in 2015 and sits on an ultra-private lot right on an inlet of Sarasota Bay. The waterfront property features a dock with 18,000 lb boat lift, a heated pool, spa with waterfall, and massive deck. 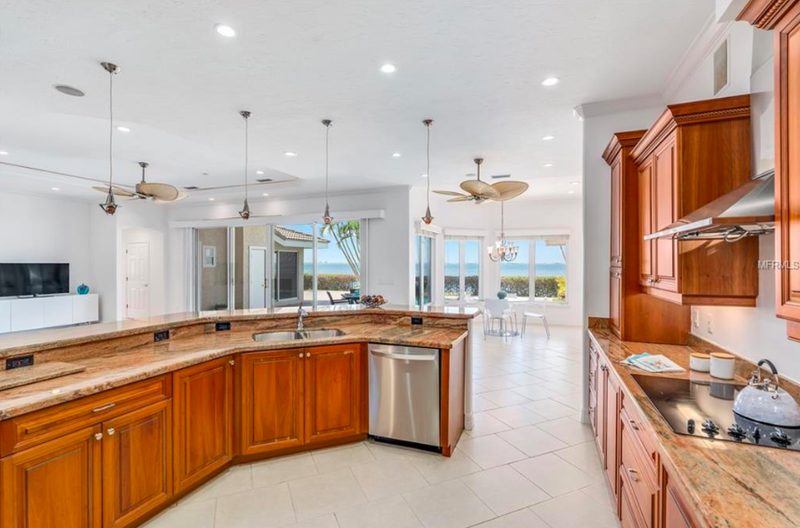 The interior is clean, coastal contemporary style with mahogany floors, tongue-in-groove ceiling, a full-scale workout room, and a well-equipped modern cook's kitchen. I love the mid-century details like the chic front walkway! 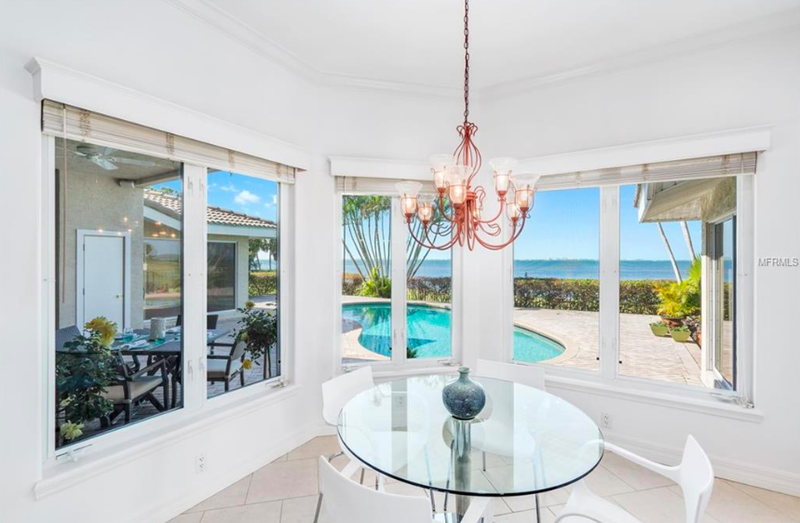 If you are searching for a picture-perfect location, this home is the one--poised on the very tip of a small peninsula in Little Sarasota Bay. 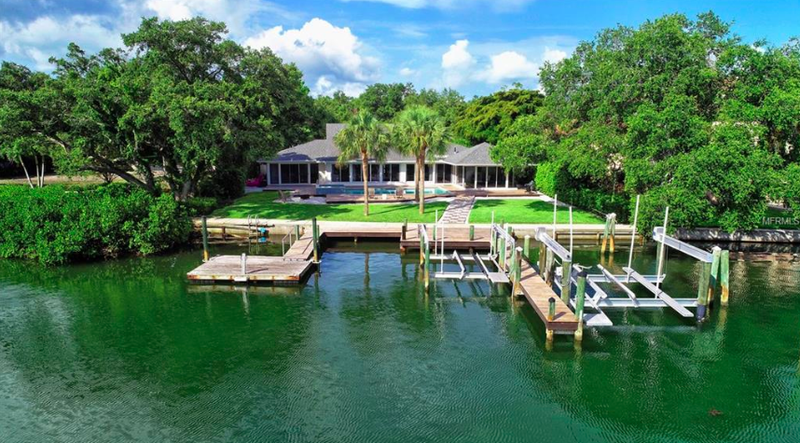 The waterfront estate was built in 2009 on 170' of shoreline and has multiple boat lifts. Not an expense was spared when this stately residence was built: 3-floor elevator, 700-bottle wine storage, master bedroom wing, and an incredible 5,333 sq ft garage with a workshop and exercise room. Old Florida at its best can be found just north of downtown in the established Indian Beach neighborhood. 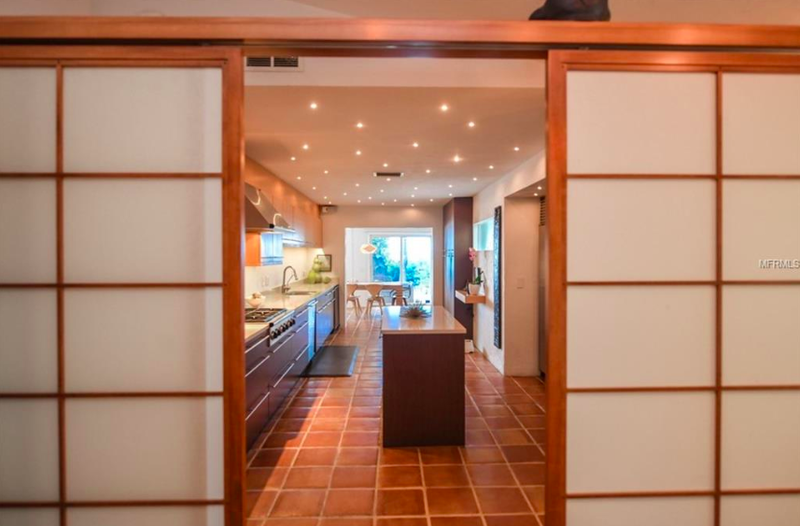 This home, built in 1952, has been completely updated throughout but kept the casual beachside atmosphere. Shady trees frame a waterfront pool nestled right into the lush & wooded property. Mexican tile, light colors, and windows, windows, and more windows make this home feel like the most chic coastal retreat. 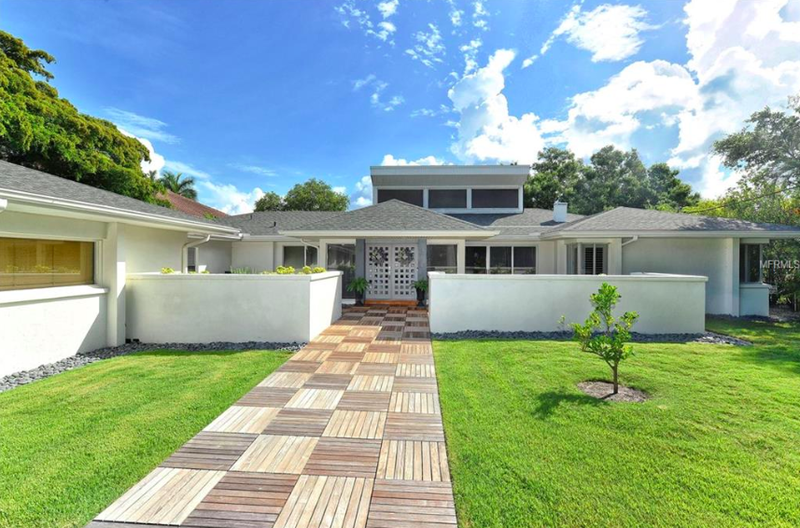 Another completely renovated mid-century bayfront home lands on our list, just north of the Ringling Museum in Whitfield Estates. 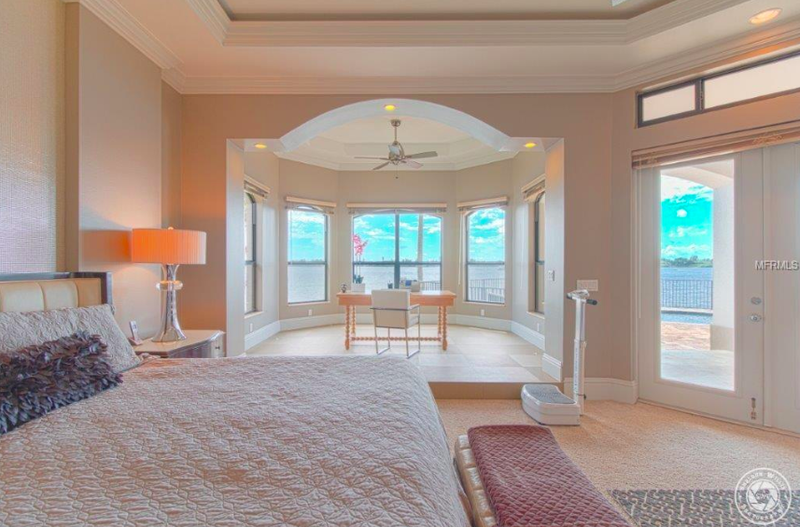 This expansive home has one of the best views imaginable. Clear sight lines across Sarasota Bay means you'll enjoy spectacular sunsets from your backyard. Soaring high ceilings make this home feel so open & airy, large windows in all the living spaces make the home light & bright, and the northern Sarasota location means easy access to two downtowns as well as Lakewood Ranch! 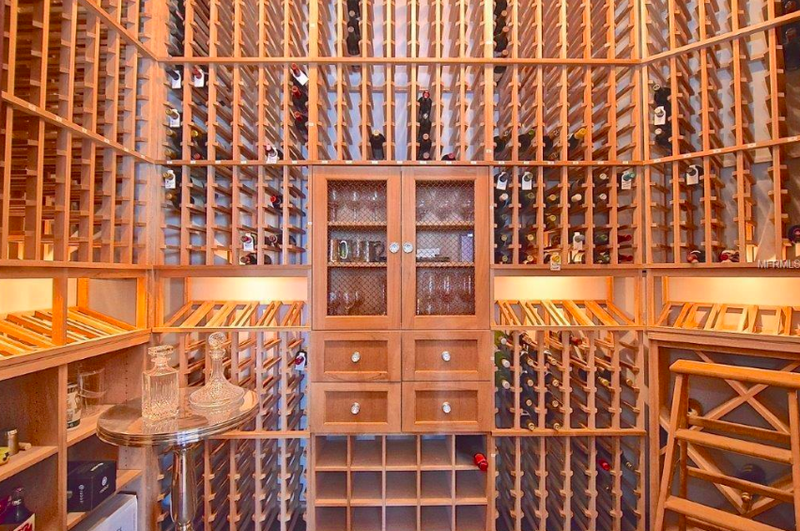 Custom-designed in 2009, this home just radiates "executive." 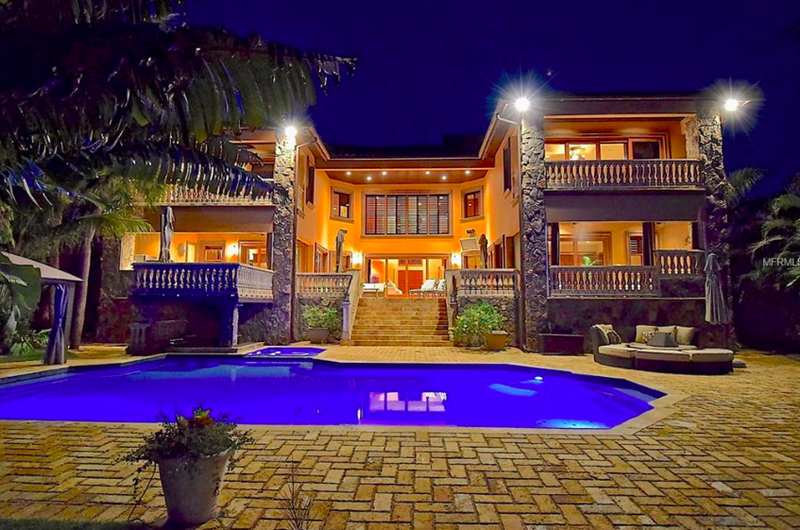 A classy estate with frontage on the inter-coastal, this home features multiple entertaining areas including a theater, a massive executive office, a 1,000-bottle storage wine room for when clients and guests stop, and a waterfront pool and spa overlooking the boat dock and lift. 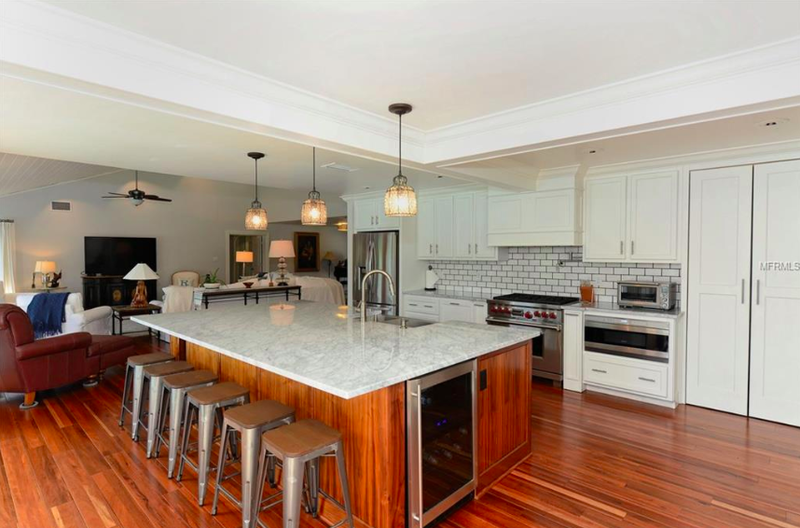 Those with an eye for quality will appreciate the Viking appliances, solid wood floors, and hurricane glass throughout. This is just a short sample of some amazing properties in our area. For more information, visit my communities page. If you would like to see properties or find out more about listing your home, give me a call today or comment below.